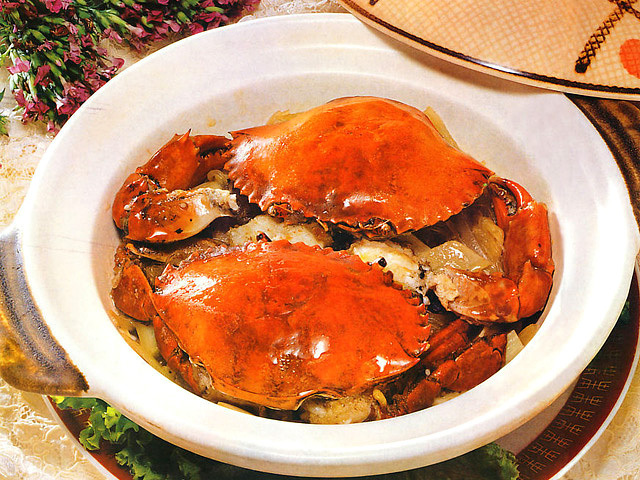 Like most island diets, traditional Hainan cuisine has been influenced over the years by local resources, weather and the environment. With an abundance of fresh catches of the day, seafood is very popular among visitors to Sanya. Besides, Sanya also features a really special collection of delicacies originated from the local people, namely, the Li People. If you are a vegetarian, all sorts of tropical fruits might be your favorite: mango, mangosteen, durian, pineapple, banana, litchi, longan, jackfruit, guava, and many nameless local fruits you've never heard about. 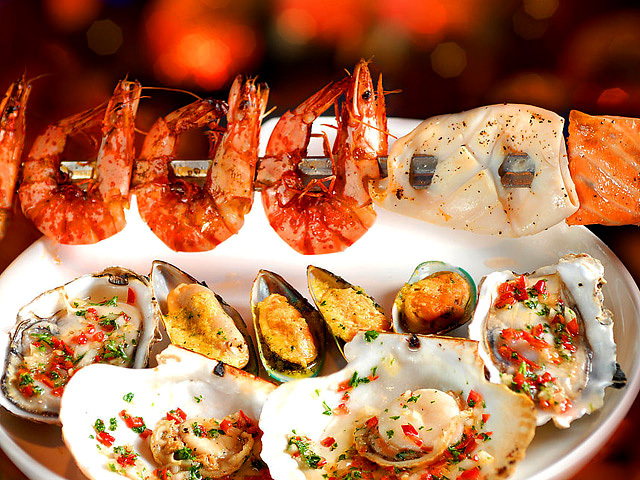 For gourmands, one of the most exciting targets in Sanya is the fresh seafood. The chefs who are locally born perfectly know how to contrive appetizing flavors based on the world's most stylish cooking methods. After all, who can resist the fun and temptation while taking a sit at the seafood stall or luxurious restaurant by the wonderful beach? The authentic Wenchang Chicken is made with carefully selected chicken. The chicken are fed with particular food, like coconut powder, peanut biscuits or rice grain to make the meat tenderer, the skin crisper, and the bone softer. 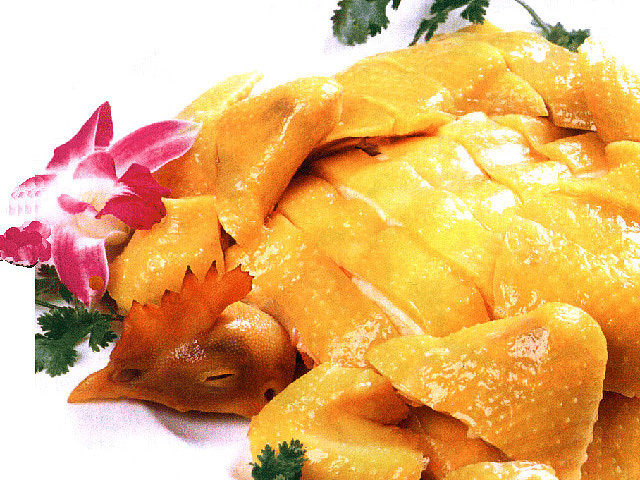 Wenchang chicken would be bolied and chopped into small pieces and the smell is very tempting. Dipped with tea oil, ginger paste, salt and other spices, the chiken meat tastes amazingly delicious. Sanya Maofeng green tea ranks among the most famous teas in China. This tea grows high up in the Mt. Sanya on the slopes of the extended mountain range. High peaks and scattered lakes create a favorable surrounding for growing Maofeng green tea. Make sure to have a visit to Sanya Tea City that is the largest tea trading center in south Anhui Province. You can buy every kind of tea there and also experience tea culture first hand in the tea history hall, where you can taste tea at a tea ceremony performed in one of the performance halls. The food is known for the tender meat and strong soup. There are various cooking methods for Dongshan Mutton. No matter it is baked, braised or steamed, the food is tasty. Jiaji Duck features thin skin, crisp bones and tender meat. It looks fatty but taste never oily. For the ultimate Hainan dining experience, don't forget to sample some food of the local people, namely the Li People, with the most famous bamboo rice (steamed rice in bamboo) and coconut soup. And you don't want to miss the weekend barbecue buffets, usually hosted by local beach resorts and international hotels. You just enjoy your stroll on the soft sand as you nibble on an array of old favorites and adventurous delicacies.